Accredited Practising Dietitian with 26 years experience across a wide scope of dietetic practice areas including research, training, clinical, food service, private practice, sports nutrition, consultancy and media. Successfully established and ran own dietetic consultancy and practice in Sydney, Aus. for 12 years which received high level of recognition with peers and the media. Consultant to high profile clients including The Wiggles (10 years), the International Olympic Committee (IOC), National Rugby League (NRL) teams, & individual Olympians. reviewing the menu for five Olympic and two Commonwealth Games over the 12 years. development and review, including mapping of curriculum to DAA national competency standards. 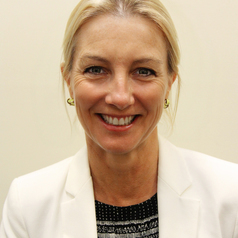 Current member of the Australian Dietetic Council for DAA.